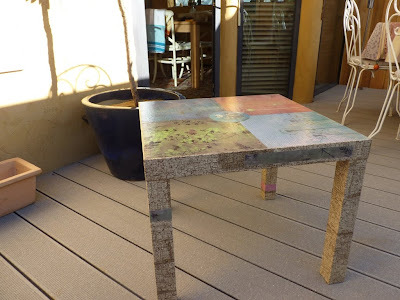 Materials: Lack square table (55 x 55cms), Decoupage paper, 4/5 sheets of printed paper of your own choice. (I used printed flowers with a 'blow away' theme). Decoupage varnish/glue. 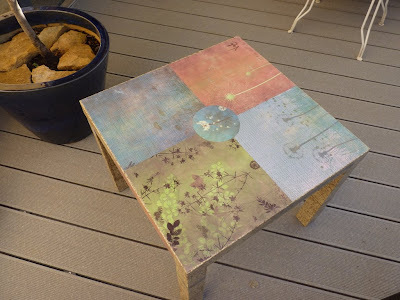 Cover the legs with the decoupage paper using the glue. Cut 4 equal squares of printed paper to cover the surface of the table and stick with glue. You could add something in the middle for effect (see photo above). To finish add 2 coats of varnish/glue.